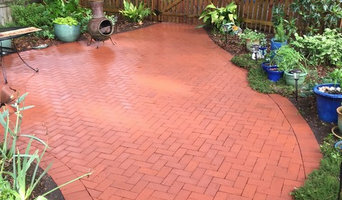 Premier Property Services is your number one power washing company in Raleigh. We utilize custom equipment, eco-friendly cleaning agents, and our own significant experience to guarantee you the best power washing or gutter cleaning in Raleigh, Durham, or the surrounding areas. We are a licensed local business that cares about our neighbors and our neighborhoods, and we are also fully insured to guarantee your peace of mind. Contact us today to learn how we can help your house look brand new! 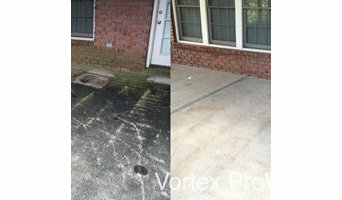 Vortex Pro Wash is a full service pressure washing and soft wash company. We combine experience, knowledge, and state of the art equipment to provide our clients with the best service possible. Whether it’s a home (your largest personal investment), a commercial property where image is everything, multi-family complexes or industrial facilities. We have what it takes to clean safely and efficiently. We are your pressure washing experts. As proud home owners ourselves, we understand how important your house is to you. It’s where you raise your families, create the best memories of your lives, and invest an untold amount of time and finance.PSPW_web Pine State Power Washing comes from humble origins. “There was a particular moment during my college days at UNC Wilmington where I was struggling to balance finding somewhere to live with continuing to study and with paying my bills. A friend offered me a place to stay for a couple of weeks on condition I cleaned his deck in time for summer parties. With the help of a tiny electric power washer and a tub of deck stain, I spent three long days cleaning away decades of grime and making it look like new. I still remember his face when he saw the final result for the first time. Right then and there, I knew this was the job I wanted to do and the reaction I still want today from our clients!” -David Berry, Owner Several years later, we’ve upgraded our equipment, sourced higher quality cleaning products and learned a whole load about power cleaning but, most importantly, we have never strayed from striving to go that extra step to provide a service that exceeds your expectations every time – if you want a particular additional job done, we will make it happen. The solutions we use are environmentally conscious, long lasting and safe for your family; unlike a number of our competitors, we never have nor will cut corners. Nothing pleases us more than a customer stepping onto their lawn at the end of the job, taking a look at their house and saying ‘WOW!’ Quality and reputation are the lifeblood of Pine State Power Washing: this goes to everything you are entitled to expect from us: clear and transparent pricing, top-quality cleaning products that last for longer and, above all, a customized service that fits your needs. You should expect results that impress you immediately and last for a long time. 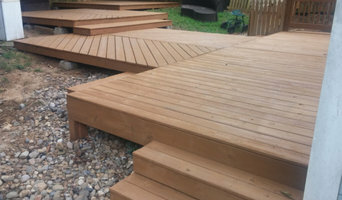 Whether you need a full house power wash, your deck cleaned and stained or something more personalized, Pine State Power Washing is big enough to cope but small enough to care. Call us on (919) 500-8207 today. Peak Pressure Washing is locally owned and operated since 2007, provides services include full residential low pressure house washing, concrete and masonry washing, deck washing/stripping, gutter and gutter face cleaning, Removal of roof stains and cleaning, and much more at Apex and Triangle Area like Cary, Clayton, Durham, Garner, Holly Springs, Fuquay Varina, Morrisville, Raleigh NC. We also provide commercial business services, such as restaurants, gas stations, etc. Please call today to inquire for a Quote or information on any of our services! My attention to service and quality has helped me clean over 12,000 different homes in over 20 years. I will continue to do the same quality job for many more years to come. At Oak City Home Services we guarantee that you will be happy with every service! This is not a claim we take lightly. We check over our work after each cleaning, but we are human and our guarantee is in place for those “just in case” instances. We want you to be confident that you will get what you are paying for: a professional cleaning. If you are not completely satisfied with our work, we want to hear from you so we can make it right. We stand behind our work, and providing a quality service is our utmost priority. Greg Tilley's Pressure Cleaning is a locally owned and operated presssure cleaning company serving the triangle and surrounding areas. We offer a multitude of pressure cleaning services, as well as other services upon request. At Greg Tilley's Pressure Cleaning we are dedicated to providing the utmost in customer satisfaction. We also strive to develop a close working, long lasting, and honest relationship with you, the customer. Whether you are a residential home owner, a building contractor, a retail business owner, a property manager, or the president of a huge corporation our goal is to make you happy and satisified that you called the right company for the job. To take it one step further, you have my personal guarantee that if you are not 100% satisified you don't owe us a penny. East Coast Power Wash is locally owned and operated out of Durham, North Carolina. We provide Residential, Commercial, and Industrial Pressure Washing Services all over the Triangle. Whether you want to remove mold, mildew, cobwebs, dirt, oil, or grease stains, our highly trained staff knows how to get the job done right. Some materials require special care and a high-pressure power washer may cause permanent damage. That's why we properly train our staff to know when they should decrease the pressure while power washing certain materials. Each new employee practices on a number of materials, using different pressure settings so they realize the power of a pressure washer and the damage that it can do. The first step is the estimate and consultation. We'll work with you to determine the most efficient and cost-effective method to complete the job. Every job is managed by an experienced supervisor who will take the time to assess your needs and determine the proper method for removing the desired debris. You can put your trust in Douse A House Low Pressure Exterior Cleaning Solutions. We have been cleaning Fayetteville, North Carolina and the surrounding Cumberland County since 1993. All our services come with a 100% customer satisfaction guarantee. Our business is family owned and operated and is built on a strong Christian foundation. We take pride in being prompt, courteous, and professional with our clients. Our customer base is built on solid relationships and that is why our previous customers will not go anywhere else. Our estimates are free of charge and we always look forward to meeting you and your family. So give us a call today, all you have to lose is a dirty house. As one of your most significant investments, your home can require a lot of attention to keep things in good order. From routine tasks (such as seeding and mowing grass), to more involved endeavors (shampooing carpets or cleaning gutters), to major projects (refinishing a wood floor or painting interior/exterior), your house can require lots of your time and attention. That’s where ProServ can help! Bonded and insured, our team of professionals is capable of handling all kinds of routine and project-based home maintenance needs. Here at DJs Pressure Washing & Landscaping we do our best to meet and satisfy everyone needs even if it means going the extra mile to make the job complete. We use HOT water and the lowest pressure to get the job done. We have the capacity for high pressure for those hard to clean jobs. We are family owned, veteran operated and would appreciate the opportunity to protect your investment. What do Forest Hills, NC exterior cleaners do? Find exterior cleaners in Forest Hills, NC on Houzz. Search the Professionals section for Forest Hills, NC exterior cleaners or browse photos of completed projects and look for the exterior maintenance professional’s contact information.